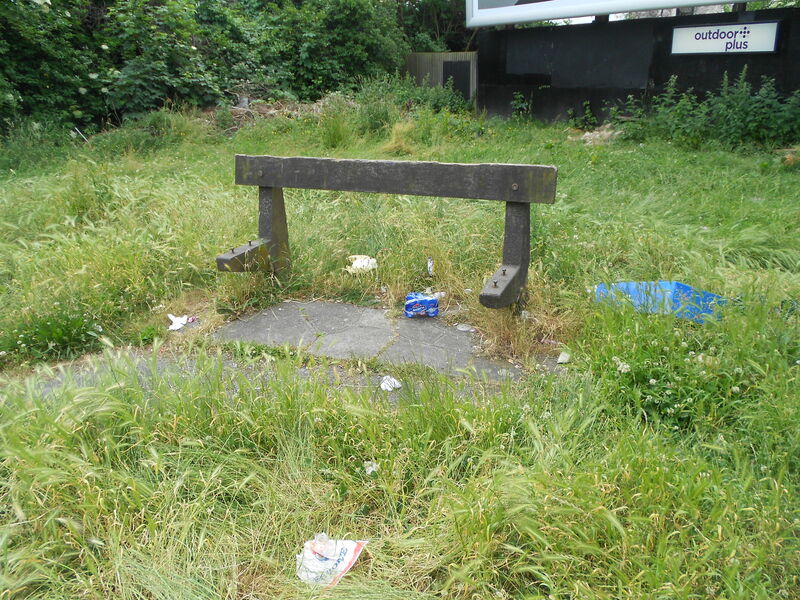 After you exit Goat House Bridge into the High Street you are presented with this rather dispiriting seat as your first glimpse of South Norwood. SNTB has decided to repair this seat ourselves, ask CAPTAIN SENSIBLE who attended nearby Stanley Tech to unveil the metal plaque on the seat proclaiming it the SENSIBLE SEAT and thus turn it from an eyesore into a major tourist attraction. Simples. You mean I get my bench BEFORE I kick the bucket? Nice. I attended Stanley Tech, just around the corner from Goat House Bridge… I don’t know what it’s like now but it was an incredibly old fashioned place back then. We learned ALL about the British Empire, how to bash bits of white hot metal into the shape of a horseshoe and how to assemble architectural building plans in the utmost intricate detail. Not all of which has come in that handy in my dubious punk ‘career’ but the school DID instill in the pupils a desire to scientifically analyse everything one encounters in life – taking nothing whatsoever for granted. Everyone should have a go at this… it certainly helps you spot the ‘BS’ when reading the newspapers. So, I enjoyed my teenage years, glam & prog rock were all the rage, Tommy Cooper caused havoc on TV, and we had the crazy days of ‘Big Mal’ up at Selhurst Park…. and although I don’t live there these days I always feel some strange emotional stirring whenever I get off the train at South Norwood on the way to watch Palace. So it you CAN resurrect this poor old bench and tart up this sad little corner of SE25 I’ll gladly cut the ribbon… or whatever you’ve got in mind. Especially if there’s a pint in it… cheers!